Facing to the North West this suburb really captures the sun. 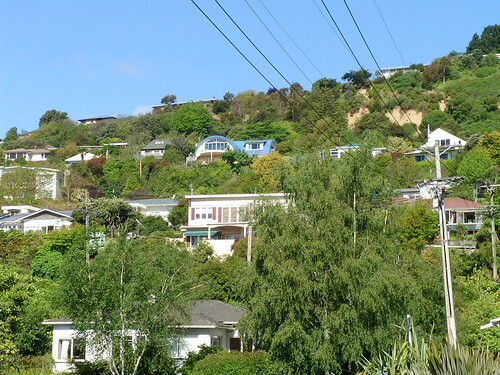 On the North Western slopes the homes flank the hillside just above the coastline with fabulous sea & mountain views, these command some of Nelson’s more expensive prices. At the highest point here you are in Nelsons most elevated suburb in Tasman Heights at the southern end of Princes Drive. No shops here to speak of, and that’s probably how most of the residents would like it to stay. That said, you’re really only a few minutes from shops in just about any direction.The main shopping centre of Nelson is less than a 5 minute ride away. 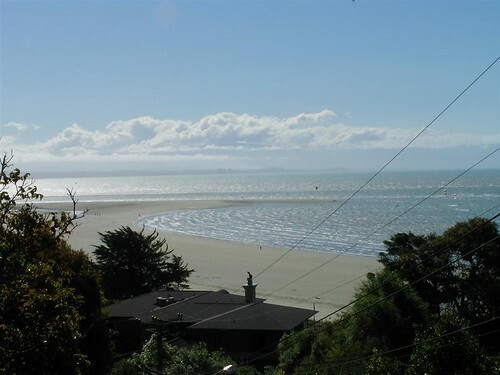 While below the hills, at the base of this suburb on the coastline, you have the suburb of Tahunanui with its own selection of ice cream palours, cafes, three taverns, and restaurants. 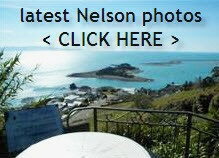 One of Nelson’s main regular scheduled bus routes runs alongside the coast on Rocks Rd on the north western side of the suburb boundaries. This is supplemented by “The Bus” which basically travels from Nelson to Tahunanui up and over the hill, bisecting the suburb though here. It routes through Quebec Rd, Princes Drive and onwards to Moana & Bisley Ave’s and then onto Tahunanui.